Congratulations to Grant Allen of Salt Lake City and David Mann of South Jordan! In October of this year, the National Association of City Transportation Officials ("NACTO"), Bloomberg Philanthropies and Island Press - some of TransportiCA's most beloved organizations - released the Global Street Design Guide. Upon release, the Guide became, "the first-ever worldwide standard for redesigning city streets to prioritize safety, pedestrians, transit and sustainable mobility for an urban century." As the United Nations celebrates the 66th "Human Rights Day" on 10 December, TransportiCA believes the Guide is essential in affirming the rights of humans under Article 13.1 - "Everyone has the right to freedom of movement..." The Guide introduces universal design standards affirming for all of us, not solely the right to movement, but to sustainable, livable, and most importantly, safe mobility. 1. Bloomberg Philanthropies selected 10 number of cities, as part of their new Global Road Safety Initiative in 2015, and NACTO's Global Designing Cities Initiative (GDCI) worked with representatives from 72 cities and 42 countries, as part of a Global Expert Network to develop the recently released Global Street Design Guide. To send-in your responses, submit via TransportiCA's "Contact Form" on the front-page (bottom left), sending your name, email address and answers. The deadline for submission is 23:59, Saturday, 31 December 2016. From all correct answers submissions, one name will be drawn as the winner of the Guide. All employees of TransportiCA, Island Press, NACTO, Bloomberg Philanthropies and affiliates, as well as, Global Designing Cities Initiative associates are prohibited from entry. 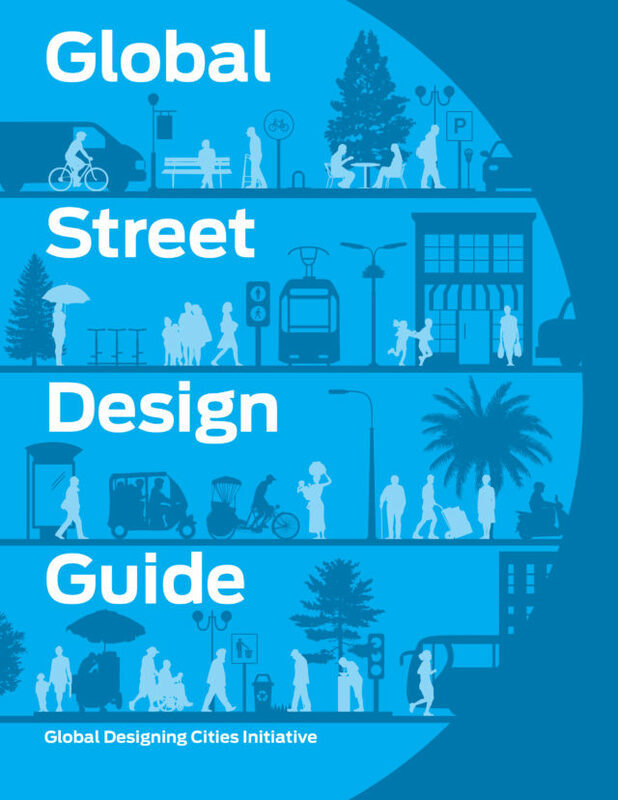 The official press release for the Global Street Design Guide is below. Thank you for your interest in the Guide, and we wish you the best of luck with the contest! The Guide builds on NACTO’s successful Urban Street Design Guide, Urban Bikeway Design Guide, and Transit Street Design Guide,expanding from a North American context to address a variety of street typologies and design elements found around the world.